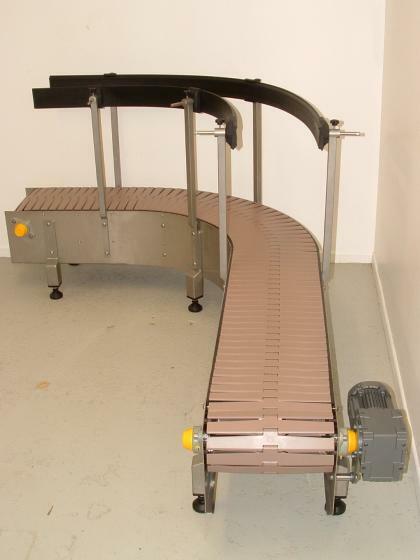 Slat Chain Conveyors are often seen in the beverage industry for transporting bottles and cans. 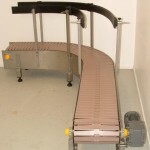 Slat Chain Conveyors can also be used in both industrial environments and wash down areas. Slat Chain Conveyors can also be suitable for applications involving low pressure accumulation, incline and decline of products. Conveyor construction is selected dependent on application and environment. Side frames are either stainless steel or powder coated mild steel with many construction options as to how to support and return the Slat Chain.